I haven’t done many interviews lately, but I’m excited about this one! 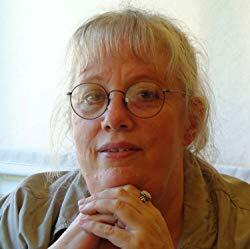 May I introduce you to D Hart St Martin, a wonderful, magical writer from the US, who has kept me transfixed for many years with her Lisen of Solsta series. 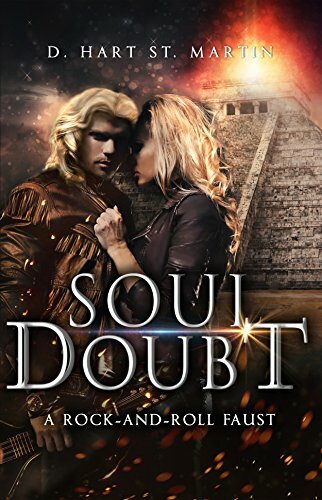 She’s also written a paranormal romance called ‘Soul Doubt’ which will keep you guessing until the very end. How do you write? Is everything plotted, planned to perfection? Do you ever change tack as you go along or always stick to a pre-made plan? I mostly pants my way through. I used to put every scene on 4 x 6 inch cards. That way I could play with them. But the more I write, the more I enjoy the challenge of letting it come as it comes. That is not to say that I don’t make notes. I make copious notes, and I’ve finally learned how to organize the “clutter” of them in a notebook (along with diagrams of various settings for individual scenes or chapters). My notebook is my little bible. I love my notebooks! Do you have a writing ritual? Meditation, certain cup for your tea, writing trousers? I get up in the morning, and after giving a nod to social media on my phone, I sit down at my kitchen table with my computer and attack the assignment for the day. I have my water and often an apple with me, and I work for a couple of hours. My cat, Calypso, often reminds me to pet her by rubbing against my leg and chirping at me. Of course, I must obey. Our feline friends love to help, don’t they? So, aside from writing, what makes you tick? Tell us 5 things about yourself we probably don’t know. I watch way too much television. I’m a political junkie (one of the reasons I watch so much television). I have a sister who’s a much better writer than I am. My computer, my cat (if one can dare to call her an “item”), a deck of cards since I’m assuming a cell phone would be out of the question, some way to listen to music (maybe I’d take that cell phone after all), and a way to charge the computer. And on said island, what 5 books would you take and why? 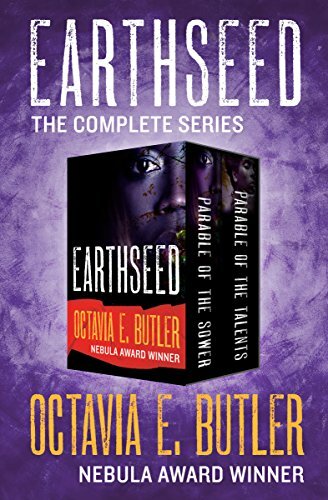 The Lord of the Rings, Dune, the Harry Potter books (I’m counting series as one book), Octavia Butler’s two Earthseed books. And my own Lisen of Solsta series because I keep promising myself to pick it up and read it as a reader, not its creator. J.K. Rowling. I’d love to ask her questions about how and when certain aspects of Harry Potter’s story became clear to her. Tell us about your current writing projects? I am in the middle of rewrite of book 1 in a new YA fantasy series. The book is called Into the Forsaken Forest. 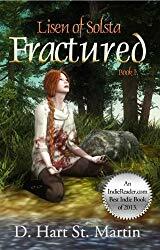 Fifteen-year-old Mari Spencer (her name rhymes with “sorry” and she’s an apology in motion) lives in a rural town in the foothills of the Sierra Nevada mountains. Her mother is a first-class narcissist who can see no good in Mari. One day Mari sneaks into a mysterious forest of sequoias where she meets a woman who transports her to a different world. I’m exploring my own psyche in this one, giving Mari both my attributes and my flaws as honestly as I can. It’s a huge risk, but if I succeed in resolving some of her issues, I’ll be satisfied. Sounds exciting, you must keep us posted as it develops. Tell us about your books and where we can find you and them. My web site is a good place to start. https://dhartstmartin.com Links to all my books on Amazon as well as descriptions of them are there. Thanks so much, Hart. I look forward to reading more of our books very soon.